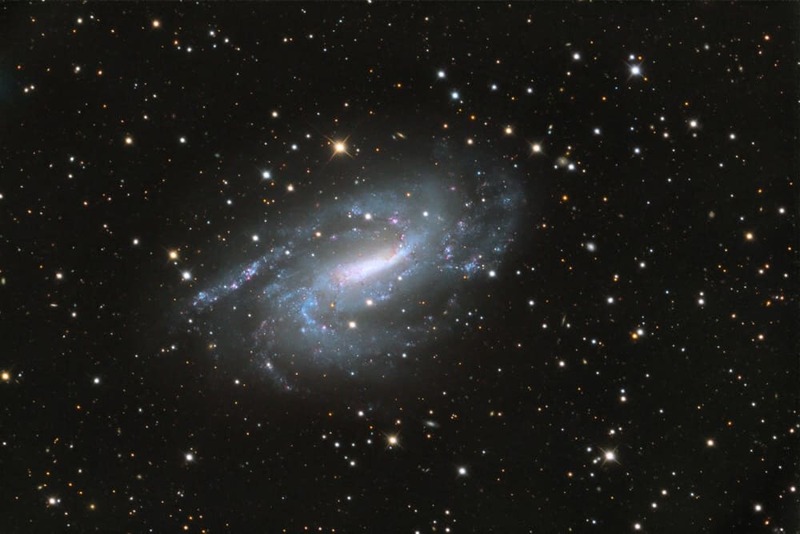 This attractive, nearly face-on barred spiral galaxy glows at magnitude 10.1 and measures 12.0′ by 7.4′. To find it, point your telescope 2° east of Gamma (γ) Trianguli. Through a small scope, NGC 925’s figure appears indistinct, but an 8-inch or larger instrument reveals the spiral arms that fold back abruptly from a long bar. At high magnification, say, above 250x, you’ll spot the stellar nucleus.